Creative Triangle have developed an overarching style for Ladbrokes Coral Group’s new internal health, safety and security communications. The suite of materials needed to follow their corporate guidelines and engage with a large and varied audience. We developed an identifier to tie all the communications together, an illustration style to capture the audience attention and embed the messages. So far we have produced guides, policy documents, internal poster campaigns and toolkits. 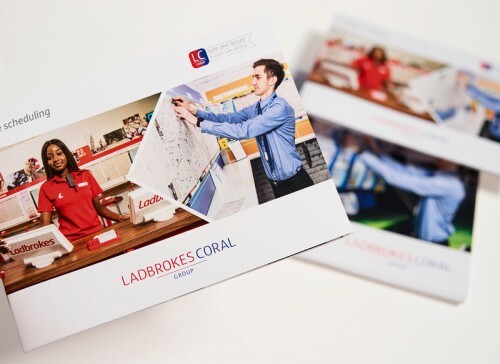 Creative Triangle have recently been approached by Ladbrokes Coral Group to help develop their internal health, safety and security communications materials. The company, who have more than 3,500 shops on UK high streets and employ more than 25,000 people, need to ensure that the communications have a strong and consistent style that complies with corporate guidelines, while making important information accessible and clear to a broad audience.